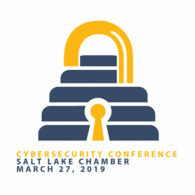 RQN attorney, Elaina M. Maragakis, will be presenting at the Salt Lake Chamber Cybersecurity Conference, March 27, 2019. Cybersecurity is not just an IT issue, but a general business issue that needs to be integrated into operations. Join us next week for the 2019 Cybersecurity Conference and bring a representative from each of your departments to ensure that security is ‘built-in’ not ‘bolted on’. The Conference will lead CEOs, CFOs, HR professionals and others through the practical skills and foundational knowledge they need to do their jobs well in our modern economy. Overall preventative security measures are far less costly than recovering from the effects of a cyber incident.